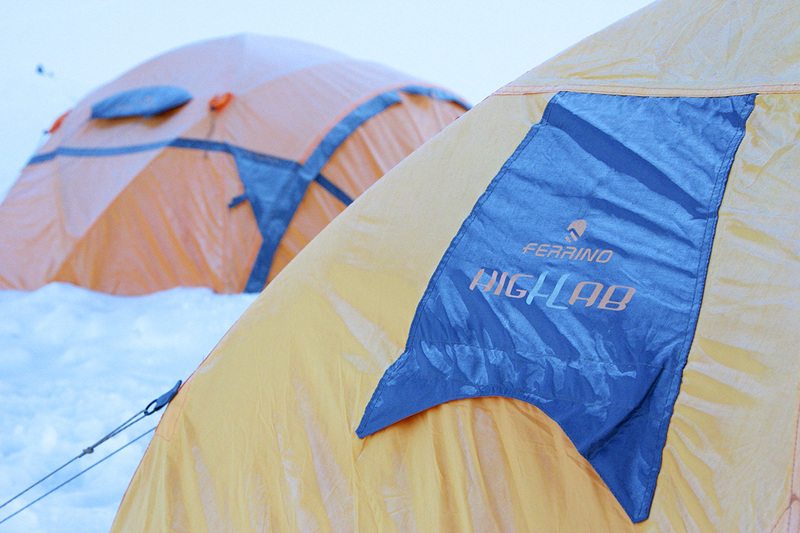 On Monte Rosa and Mont Blanc the High altitude camps to test Ferrino High Lab products. 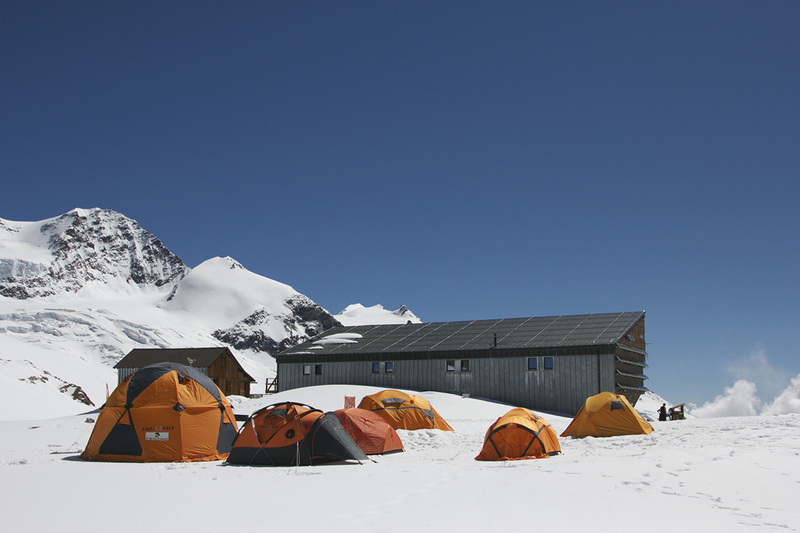 Pictured here the camp at Rifugio Quintino Sella. 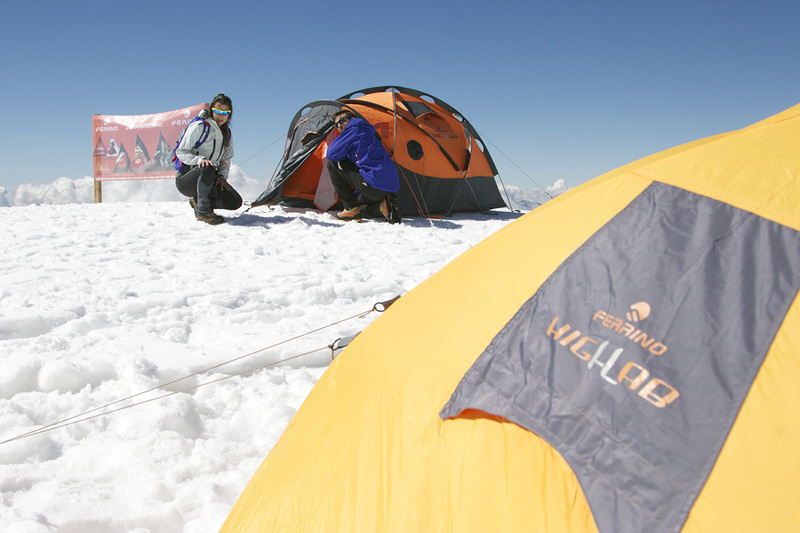 Since 1994, the “on the field” mountaineers experience show the way to new quality peaks for Ferrino products. 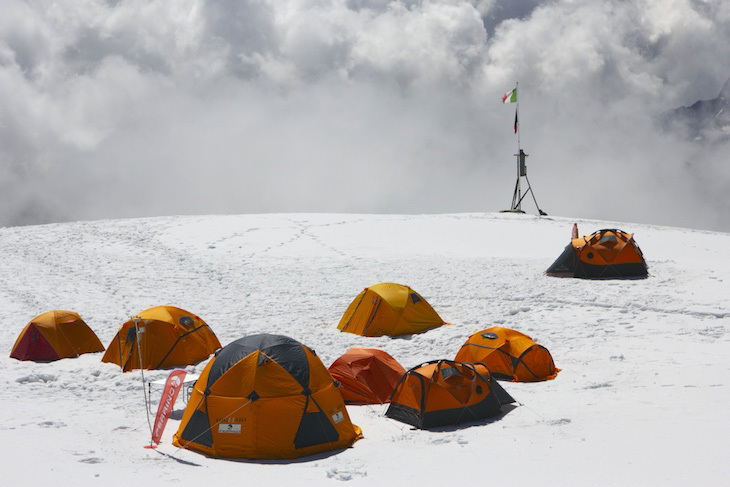 The Ferrino High Lab project grows, in addition to the historic test camp at Rifugio Quintino Sella, since last season there is a new project at Refuge de Tete Rousse. 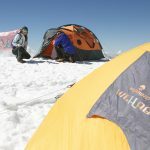 Try Ferrino High Lab products while sleeping in tents at high altitude, with the safety of a camp assembled by mountain professionals and alongside an alpine refuge, is a unique opportunity. 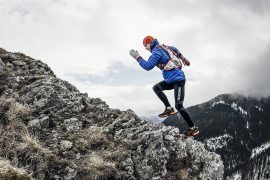 An unbeatable experience both for those who will became “protagonist” of the project, because of the beauty of these places, the concreteness of sensations and the highest quality of products tested; and for those who will gather the results transforming the opinions of a varied and enthusiastic audience in always more high-performance products. 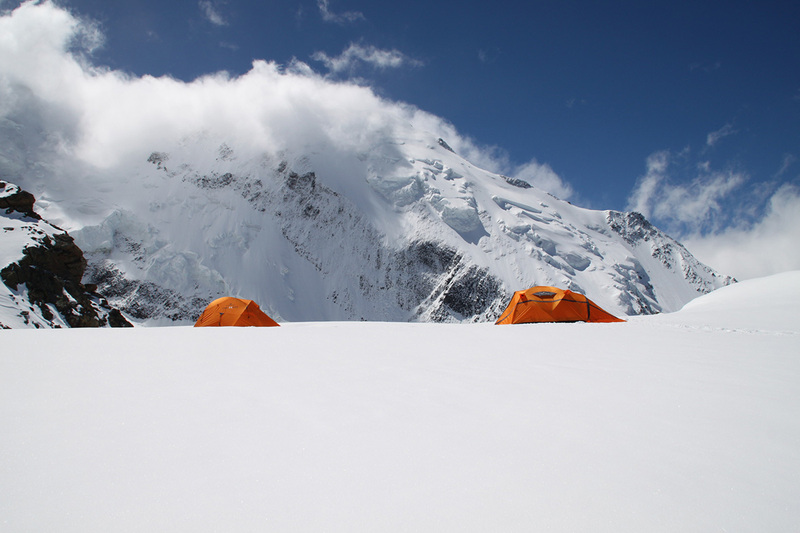 For these reasons we developed the test camp concept, that from last summer extends its horizons involving, in addition to the Rifugio Quintino Sella, a new magical place for mountaineering: Refuge de Tête Rousse on Mont Blanc. 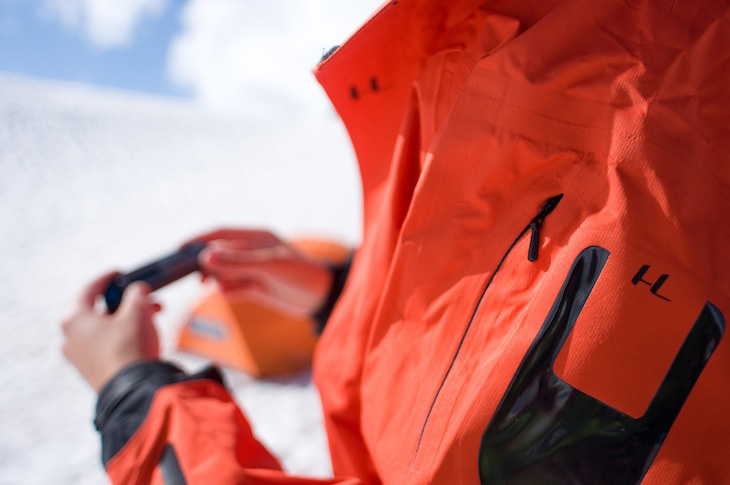 All tested products belong to the High Lab line, Ferrino top of the line in terms of technology and safety, extremely durable, with many functions and specific technical features: they are designed to offer high performance and for sector professionals. 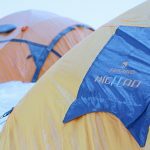 After spending the night in tent and testing the products, alpinist are asked to fill out a questionnaire. 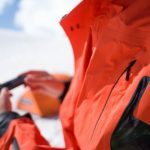 This will allow Ferrino to have a direct consumer’s feedback on the product and to collect important field test information that will be directly sent to the R&D department. 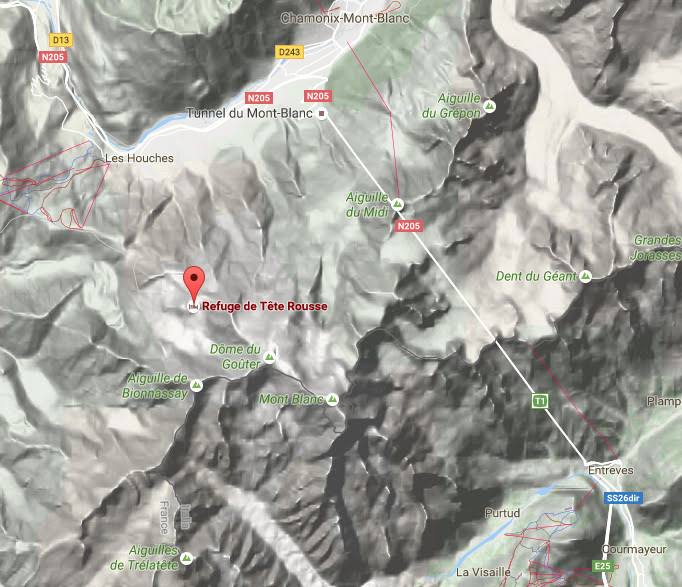 In addition to this consolidated Italian project, last year born a new test center in France, on the slopes of Mont Blanc: A new cooperation born between the Refuge de Tête-Rousse, the Saint-Gervais Les Bains municipality and Ferrino. Try Ferrino High Lab products while sleeping in tents at high altitude, with the safety of a camp assembled by mountain professionals and alongside an alpine refuge, is a unique opportunity. 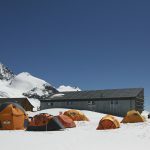 In fact, through the new Ferrino test centre at Refuge de Tête-Rousse, is possible to stay overnight in Ferrino tents and sleeping bags, at an altitude of 3.167 m close to the refuge buildings. 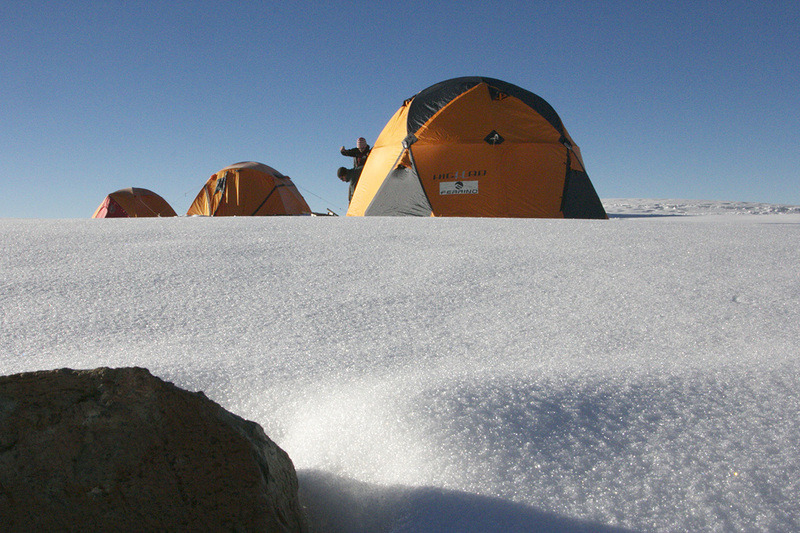 The Refuge de Tête-Rousse is one of the main project’s partner, completely refurbished in 2005, it can accommodate 72 people in summer and 16 people in winter. 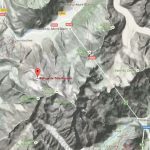 The hut is located in France, in the municipality of Saint-Gervais les Bains (La Voie Royale), which is on the Massive of Mont Blanc – Haute Savoie. 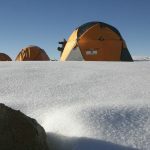 The camp test at the Refuge de Tête Rousse will be open from early July until the end of September (period will vary slightly depending on the season). 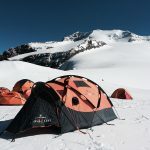 As one of the oldest Italian Outdoor brands, Ferrino was founded over 146 years ago in Torino, in the northern part of Italy. The company is now owned by the 5th generation of the families’ founders and proudly run in a very open minded and a globally influenced way. 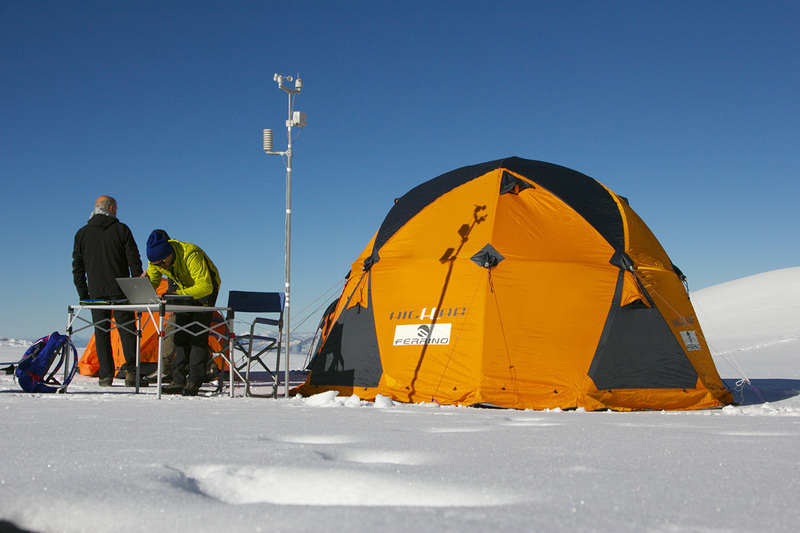 The core of Ferrino is a very strong R&D department, with people who are full of outdoor passion. 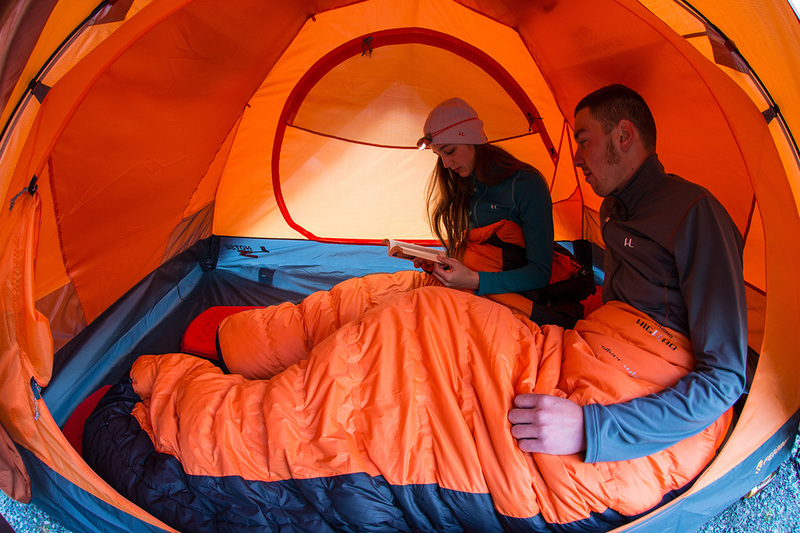 They develop and design the main parts of the product range (tents, backpacks, sleeping bags, apparel and accessories). Some high end parts are made in Italy in the company in Torino. We are very strict and precise with the quality controls in Italy and in every single production area all over the world. We keep faithfully the demand for Italian technologies & Italian standards and guarantee high quality – since 1998 we have obtained the UNI ISO 9001 certification. 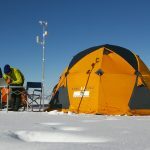 The Ferrino High Lab project grows, in addition to the historic test camp at Rifugio Quintino Sella, since last season there is a new project at Refuge de Tete Rousse. 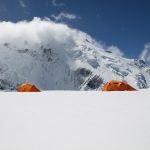 Mont Blanc Refuge de Tete Rousse. 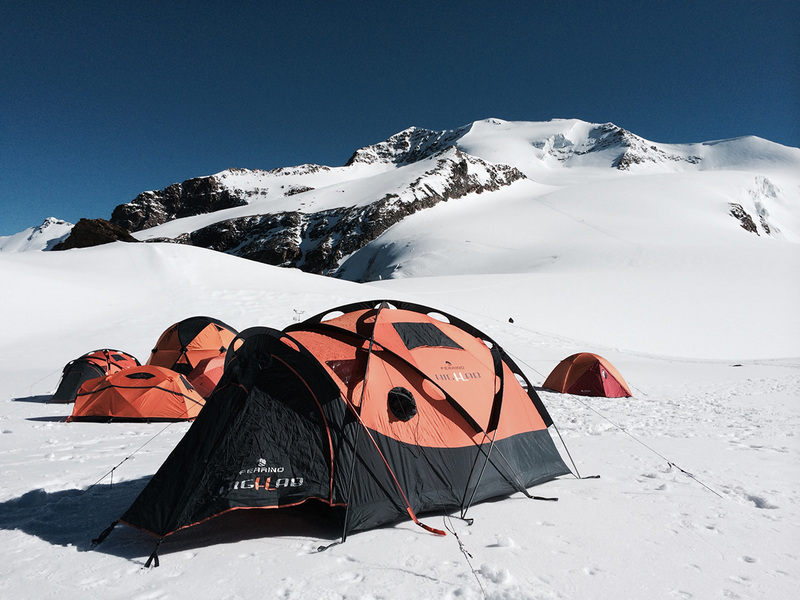 The Monte Rosa Rifugio Quintino Sella base camp to test Ferrino High Lab tents, sleeping bags and backpacks.